Laundry is the mountain standing in the way of everything else I want to accomplish, so I have to tackle it first and I have to tackle it fast! 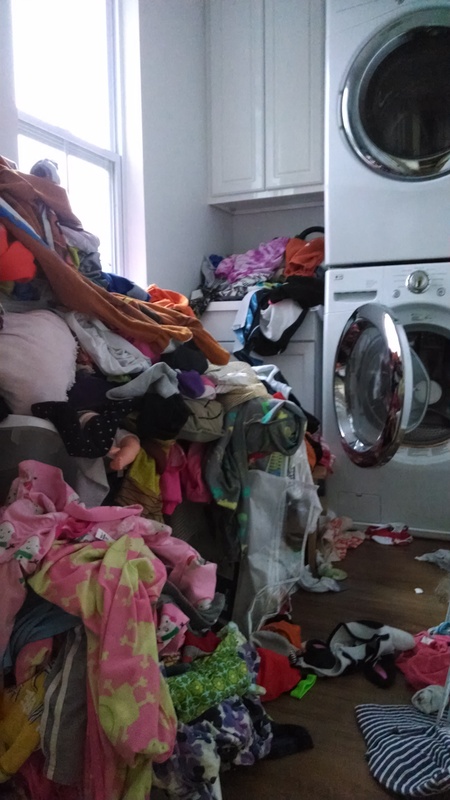 I haven’t been caught up on laundry since before my first child was born. She’s 5 1/2. It always seems like it should be easier than it ends up being. 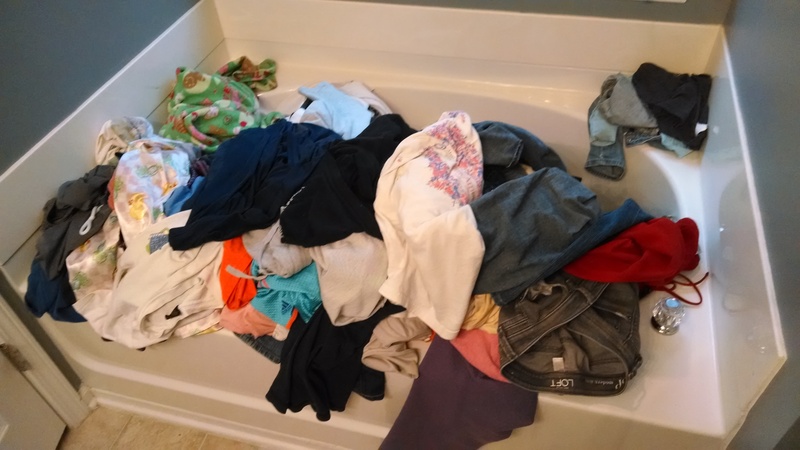 I go in with great attitude, but end up defeated by the piles of clean clothes in our bedrooms, the dirty piles in the laundry room, and yes even the piles in our bathroom hamper, aka the garden tub. I could come up with a thousand excuses why I just can’t get all of our clothes washed, dried, and put away, one of them ironically being my OCD issues because they can cause me to deem an overcoat dirty after only one wear. (I’ll attempt to resolve that in a much later challenge). Regardless of the reasons, I simply have to overcome them. I want to enjoy as many Thanksgiving and Christmas festivities as I can this year without the added stress of trying to find everyone’s pants!